Last year we celebrated with strawberry margaritas. This year I wanted to share this delicious recipe with you. My husband found the original recipe here, & changed it just a little bit. One of the commenters nicknamed it the White Margarita, so that’s what we call it. Made with silver tequila & lemon-lime soda (Sprite), it’s a cool white color in the end. Sprite gives it a bubbly sweetness that makes it a little different that the traditional ‘rita. Salt or no salt, this margarita is deliciously refreshing. You can taste the tequila just enough to know you’re drinking the real deal, but not enough to give you flashbacks of your college days. Feel free to adjust the amount of soda or lime juice as needed. My husband likes his strong & I like mine sweet, but the below recipe is just right for both of us. Enjoy National Margarita Day responsibly! Rim 2 glasses with salt (if desired), & fill with ice. Pour the tequila, lime juice, triple sec, & soda into a shaker filled with ice. Be sure to hold your hand over over the top of the shaker so that it doesn’t pop off from the carbonation. Pour into prepared glasses, serve with a lime wedge, & enjoy! 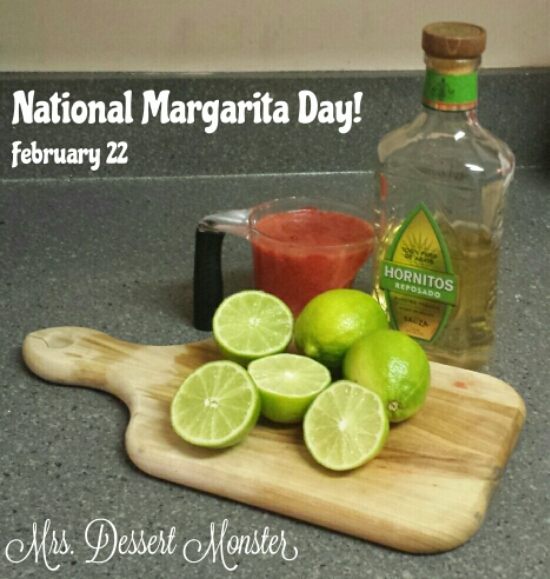 Today is National Margarita Day! Also, the Oscars are on! To celebrate, we went to our friends Beth & David’s house. 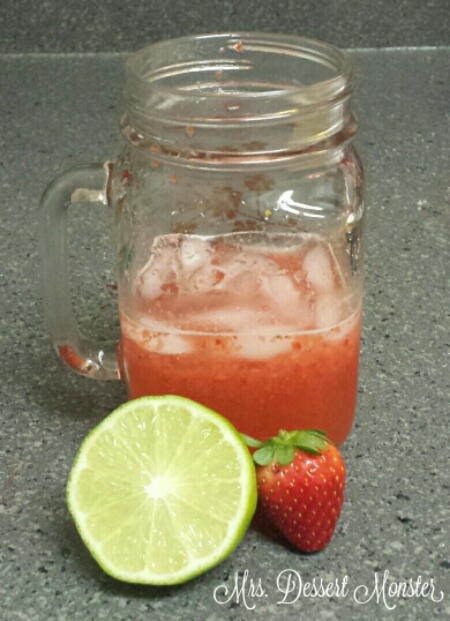 Beth & I made strawberry jam, and my husband made us all strawberry margaritas!